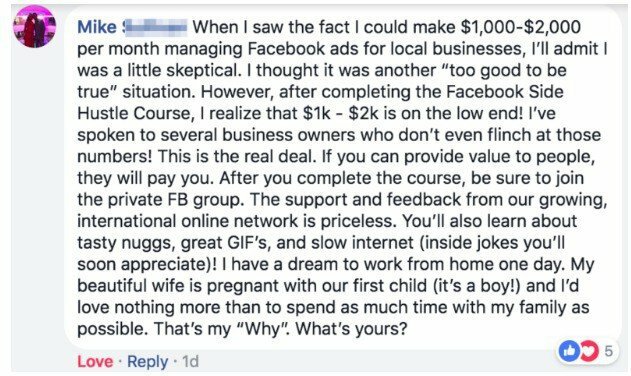 Did you know you can earn an extra $1,000-$2,000 per month by helping local businesses run Facebook ads? My friend Bobby from Millennial Money Man has been running Facebook ads for local businesses since 2015. In 2017, Bobby made over $200,000 from his blog and digital marketing business. Are businesses actually hiring for this? Yes. Facebook recently had a serious algorithm change that made it even harder for businesses to get seen organically on Facebook. This means Facebook ads are now in demand more than they've ever been. Plus, Facebook ads are tremendously cheaper than running traditional ads. With Facebook, ads can be directed to a certain individual, which is a major win for a business and their wallet. Will someone actually pay me $1,000+ per month to do this? Yes. 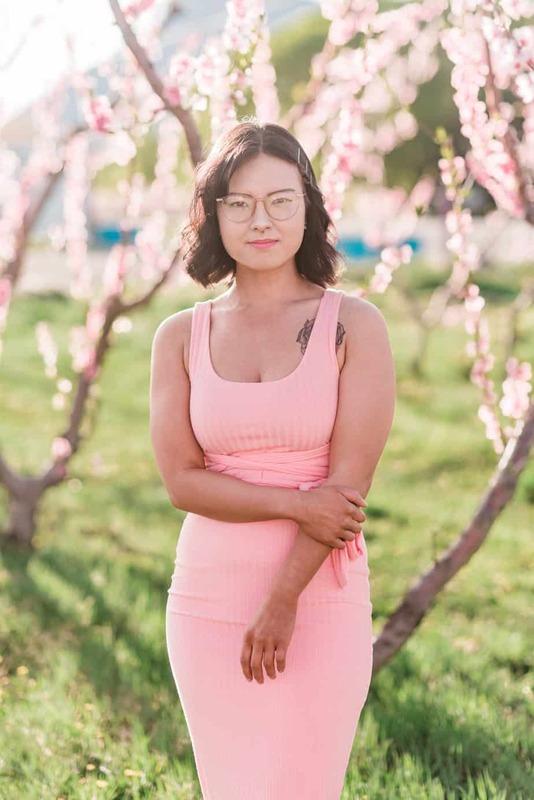 Think about it this way: Say you own a massage parlor and give out a $75 membership per month for one 90-minute massage each month. That person stays with you for 12 months, which equates to $900. On average, a customer going into your business can be worth $900. Facebook ads can target customers to that business and give them 10-20 leads every month. Those leads can eventually turn into customers and can bring in an extra $18,000 per month to that business. So yes, a business would pay $1,000 for an extra $18,000 per month. Wouldn't you pay $1,000 to get $18,000? Now, think about a construction or interior design company. They might bring in an average of $5,000 per client. This makes Facebook ads even more desired because these companies usually make substantially more per client. 20 leads from Facebook could bring in tens of thousands of dollars for this company. Are you skeptical? Find out what this student had to say. What are people making from running Facebook ads? When Bobby (one of the creators of the course), is not working on his blog, he runs a successful ad business making $50,000+ per year. Mike, the other creator of the course, makes an average of $30,000 per month running Facebook ads. 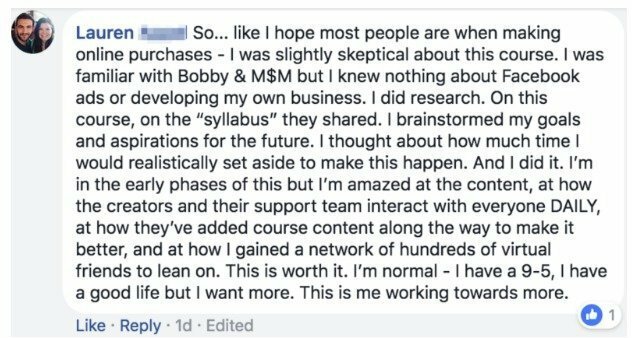 Over 500 students from the Facebook Side Hustle Course have taken the course and students are seeing a range of $1,000+ per month. Students have actually stated that $1,000-$2,000 is the very low end. There are a ton of testimonials you can see from real students making money from this here. If a lot of people start offering this service, will there be any clients left for me? There are over 27 million businesses in the U.S. alone, with over 18,000 new businesses daily. Yes, there is more than enough! The Facebook Side Hustle Course breaks down into 9 modules that will teach you everything you need to know to become successful at running Facebook ads. Each module breaks down to about 2 days of work, so you can complete this course in under a few weeks. 3. The Ultimate Follow Up Lead System ($197 value)- You'll learn how to help your clients follow up with leads so they can close the sale! 4. Client Tracking Automation System ($97 value) – You'll set up a system that will notify your client when a lead enters their funnel via a Facebook ad. This is crucial because the sooner the client follows up, the higher the chance they will close the sale. It's so inspiring to see so many people living their dream life and working from home. Parents have been able to start working from home and spend more time with their kids. Others have been able to put a big dent into paying off their debt. Working from home has so many benefits! Do you want to become a Facebook Ads manager? Tell us in the comments!